Developing an undergraduate degree programs that reaches the level of the advanced universities in the world. Facilitating exchange and integration in training and scientific research; Upgrading synchronously the organization of training activities, professional qualifications of management officers and teaching staffs. Students are able to acquire knowledge and improve their knowledge in a systematic way, enabling them to develop their ability to think and practice their professional skills and foreign languages ​​so that when graduating with professional qualifications and foreign languages meet the requirements of the society. Building and upgrading facilities for training, promoting scientific and technological research and international cooperation. The successful application of this training model will be the basis for creating a breakthrough to comprehensively renovate the training activities of the University and to promote the effectiveness of international cooperation activities. Two rooms for only students of the advanced program are equipped with modern facilities, air conditions and projectors. Labs for only students of the advanced program are modern, highly configurable program, powerful internet connection for students' study and research. Graduates must achieve english proficiency: TOEFL PBT 550, IELTS 6.0 or equivalent. Prestigious lecturers are invited to lecture from the University of Information Technology, University members of VNU-HCM, OSU and other foreign universities. The lecturers all have doctorate, master degree from an english speaking country or have been teaching in english for equivalent programs. After finishing the first two years at the University of Information Technology, students can transfer to third year at OSU. Credits studied at the University of Information Technology are fully accepted by OSU. Foreign language textbooks used for teaching subjects. Reference books in foreign languages. 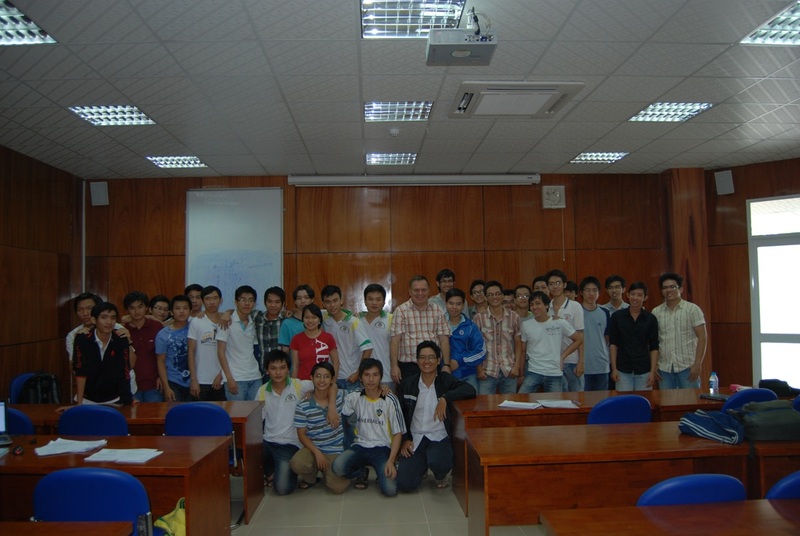 Using the existing electronic library system of the Vietnam National University - HCMC and connecting with specialized electronic libraries abroad. Two classrooms for only students of the advanced program are equipped with modern facilities, air conditions, and projectors.